Many claims made for commercially marketed supplements for athletes and fitness participants are not supported by current research (Grunewald & Baily, 1993). Authors note: ExRx.net does not necessarily condemn the use of nutritional supplements. Food supplements may be rationalized if a user otherwise feels it would be too difficult to plan and prepare certain snacks or nutritious meals. Supplements can be considered by those who perceive the convenience of supplements occasionally outweigh the benefits of natural foods and are willing to pay extra for this convenience. It is the author's opinion that the advertisements of nutritional supplements are often inaccurate, or misleading and are obviously designed to increase sales of a marketed product. Creatine monohydrate is one of the few supplements supported by scientific evidence. Creatine monohydrate can increase strength, power, and muscular size (Stout, Eckerson, Housh, & Ebersole, 1999; Kirksey, et. al., 1999). Caffeine has been shown to counteract the ergogenic effects of creatine monohydrate (Vandenberghe, et. al., 1996). Carbohydrates (30-35 gm) ingested during creatine monohydrate have been shown to augment the these ergogenic effects (Stout, Eckerson, Housh, & Ebersole, 1999). Also see Creatine literature review. Glucosamine Chlorhydrate, Chondroitin Sulfate, and Glycosaminoglycans. The efficacy of certain amino acids appears to be supported by the scientific studies. Newton RU, Dioguardi F (2003). The effects of amino acid supplementation on muscular performance during resistance training overreaching. J. Strength Cond Res. 17(2): 250-258. Tipton KD, Ferrando AA, Phillips SM, Doyle D, Wolfe, RR (1999). Postexercise net protein synthesis in human muscle from orally administered amino acids. Am J Physiol, 276 (Endocrenol Metab 39): E628-E634. Gianni B, Tipton KD, Klein S, Wolfe RR (1997). An abundant supply of amino acids enhances the metabolic effect of exercise on muscle protein. Am J Physiol, 273 (Endocrenol Metab 36). Vitamins and minerals can be kept for 6 years or more when protected from the light, moisture, and heat. HMB, or ß-Hydroxy ß-methylbutarate increased lean body weight and reduced fat in cattle. The effects of the HMB on muscle metabolism during weight training has been studied in humans (Nissen, 1996). A 200 lb male may take 3 grams of HMB. Glutamine is an amino acid which can reduce the loss of muscle by blocking the receptor sites for cortisol. Glutamine has been used for burn victims. It has been proposed to be an essential amino acid during extreme stress. 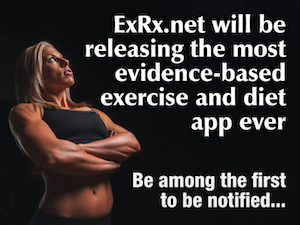 Research regarding its efficiency in exercise is mixed and inconclusive. No known adverse effects when taken in recommended dosages of 5g to 20g in divided doses, before, during, and after workouts. Taking Leucine (3g) along with carbohydrates and protein after exercise may enhance recovery and muscle repair. GABA or Gamma-AminoButyric Acid reportedly has caused reactions in some people requiring emergency hospitalization. If a multi-vitamin is to be used, ingredients should not contain significantly more than 100% of the RDA or DRI. Certain vitamins and minerals compete for the same carrier molecule into the cell. Also see micronutrients.